All of us at Bible Scholars want to take this opportunity to wish you a very happy and prosperous New Year for 2019! We have some exciting news, events and discoveries designed to further ignite your biblical learning path! 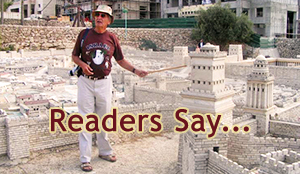 Now you will find new study materials and articles on BibleScholars.com we posted for your learning. Who is Isaiah 52:13-53:12 talking about? 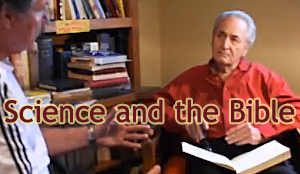 by Dr. Barry Fike and more topics are all there to take and study. 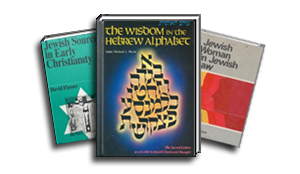 Next on our Bible Scholars’ YouTube channel, we’ve posted 14 new videos entitled Treasures of the Jewish World by Dr Roy Blizzard that you can add to your personal learning trove. Learning from me in a more personable and small setting at my hearth and home has now become a popular option. Bible study has never been made more simple. 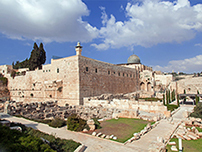 Perhaps you may want to pack your bags for a weekend get-away and attend my next 2-day At My Home and Table Bible Study I’ve entitled Studying The Bible from a Hebrew Perspective with Dr Roy Blizzard. My next meeting is scheduled in the near future in February 2019 here in Joplin MO. These intimate teaching get-togethers are limited to 8 people at $300 per person or $500 per couple; inexpensive lodging is available just blocks away. Because space is limited, if you plan to attend please call my office at (512) 750-5384 and make your reservations now. If you are interested in attending, please email me immediately at Roy@BibleScholars.org. Stay tuned for more announcements on 2019 bible study dates. 2019 promises to be one of Bible Scholars’ most prolific years. Our scholars are in the process of publishing several books from article compilations of YAVO Digest, and many more new articles. We have many exciting events scheduled. 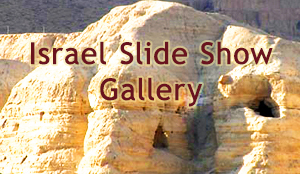 Stay tuned and start preparing as we announce our upcoming Dr Roy Blizzard’s Tour to Israel and Petra on May 30 - June 14, 2019 with reservation details on its way. Plans, dates and prices for a tour to Egypt and cruise down the Nile are also in process. Stay tuned! You can access us on Facebook and YouTube as well: Bible Scholars YouTube Channel. Click on Playlists for a more organized access to the series. Imperative now to Bible Scholars’ mission and strategy is our decision to add an additional staff member in the immediate future that will greatly improve our business operations, communications and publishing efforts. 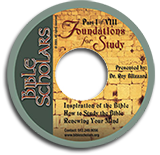 Therefore, it is necessary we ask will you our readers, friends and partners consider to make a monetary contribution to Bible Scholars today? We have been operating in the arrears for several months now; and we would love to be able to catch up on all of our substantial bills and obligations. We thank you for your precious consideration to help us make the mission of Bible Scholars possible. You may send your contributions to Bible Scholars, P O Box 3568, Joplin MO 64803.